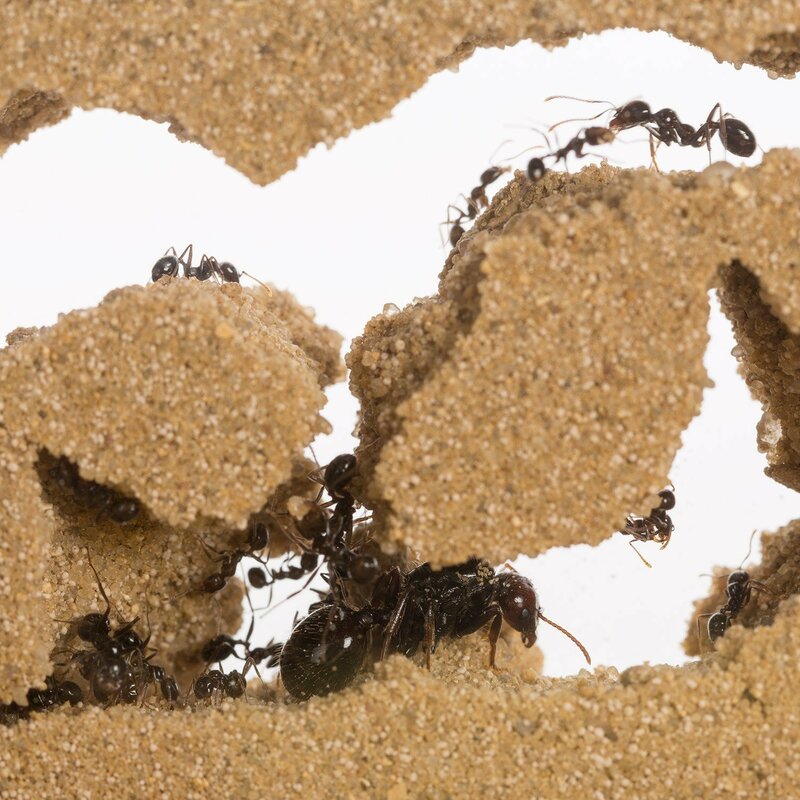 True anthill, valid for the rise of ants, with the queen. 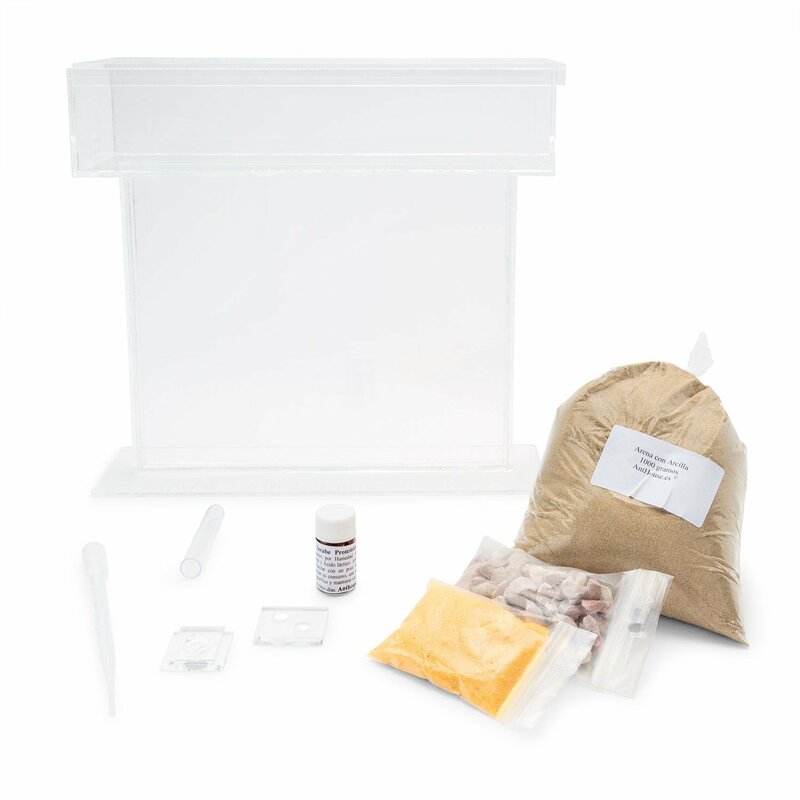 All that is needed to start at the world of ants; you won’t need anything else. 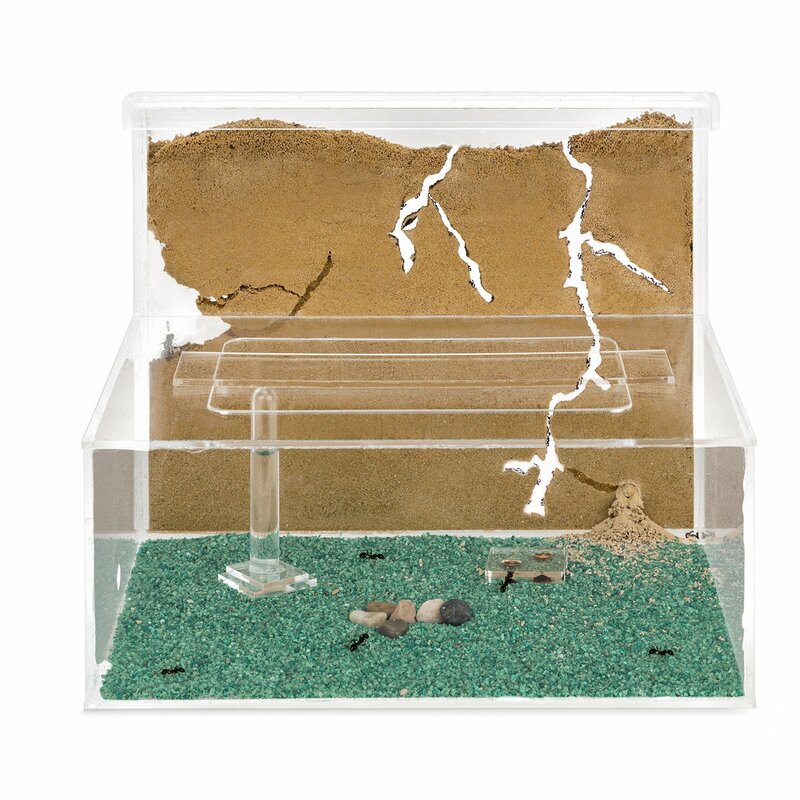 The ants are inside a test tube, with food and water for three weeks. They were born in that tube and are ok. 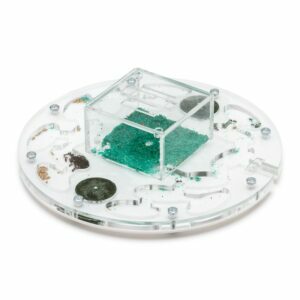 The AntHouse Acrylic T BIG nest contains – 1x Acrylic sandwich 25x20x1,5 cm with a foraging box on the upper side to put the food and as a dump for the ants. It has a movable lid and a hole in one side to connect another nest or an auxiliary foraging box. 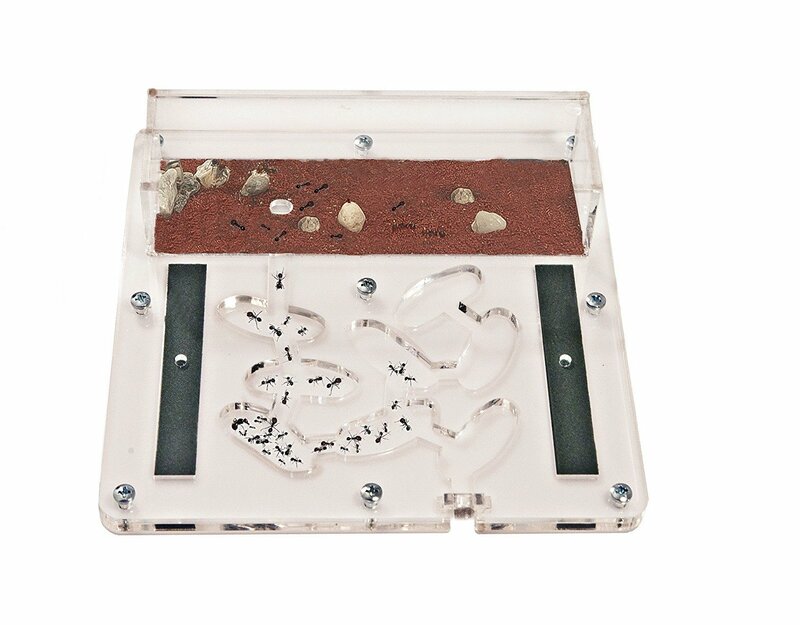 – 1x Complete ants colony: Queen, workers, eggs and larvae are included, so you can start enjoying immediately. 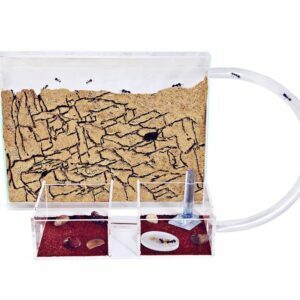 You will receive the ants inside a test tube with food and water for three weeks. They were born inside the test tube and they are well. 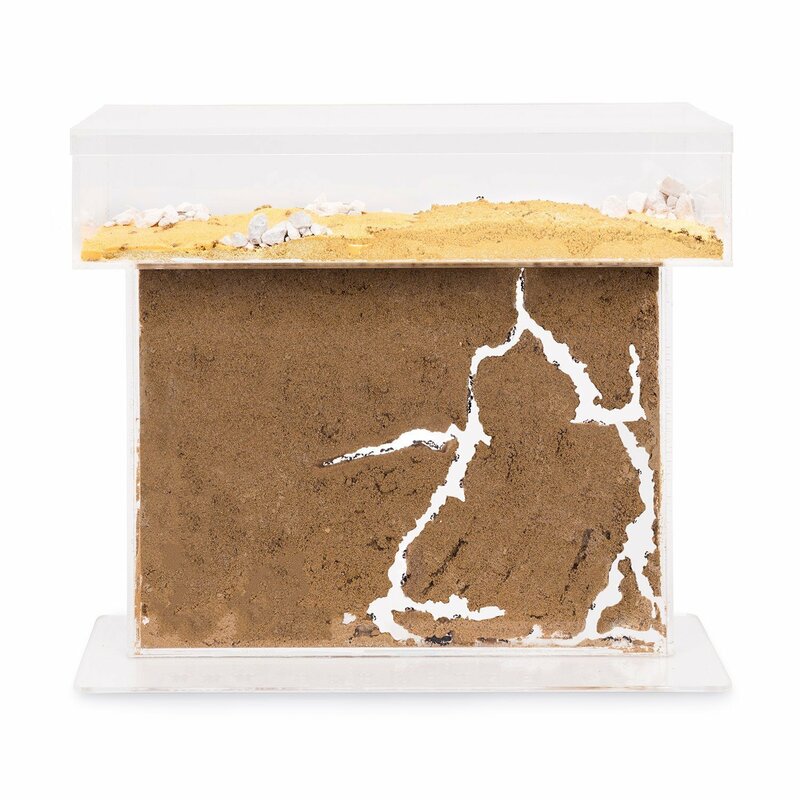 – 1x 500g Mixed sand/clay for the Sandwich. – 1x 50g Stone granules as decoration for the foraging box. – 1x Plastic pipette. – 1x Trough. – 1x 10ml Protein syrup (food). – 1x 50g Sand for decoration. Colour subject to availability.